Experience a customized therapeutic regimen tailored to address your specific oral concerns. Dr. Paul Fotek, our skilled, board-certified periodontist in Palm Beach Gardens, FL, provides excellent periodontal care to restore your oral health. To improve your smile, we offer innovative technologies such as laser dentistry treatments for gum disease, dental implants and a same day teeth technique for tooth replacement, and sedation dentistry for a more comfortable and enjoyable visit. There’s more to tooth replacement than simply restoring your smile. Filling gaps with dental implants creates a functional smile, improving your overall health. Dental implants are a state-of-the-art restorative option that offer patients permanent results that look completely natural. Using the latest dental technology, our dental implant procedure minimizes downtime and discomfort, giving you your smile back in little to no time. With an array of risk factors, gum disease can lead to oral pain, tooth loss, and a decline in overall health, if left untreated. Laser dentistry is an innovative form of dental technology that allows Dr. Fotek to remove areas of concern with precision and reduce the risk…. Poor oral hygiene, smoking, age, and more can lead to the progression of gum disease. And, without care, can necessitate laser dentistry intervention. 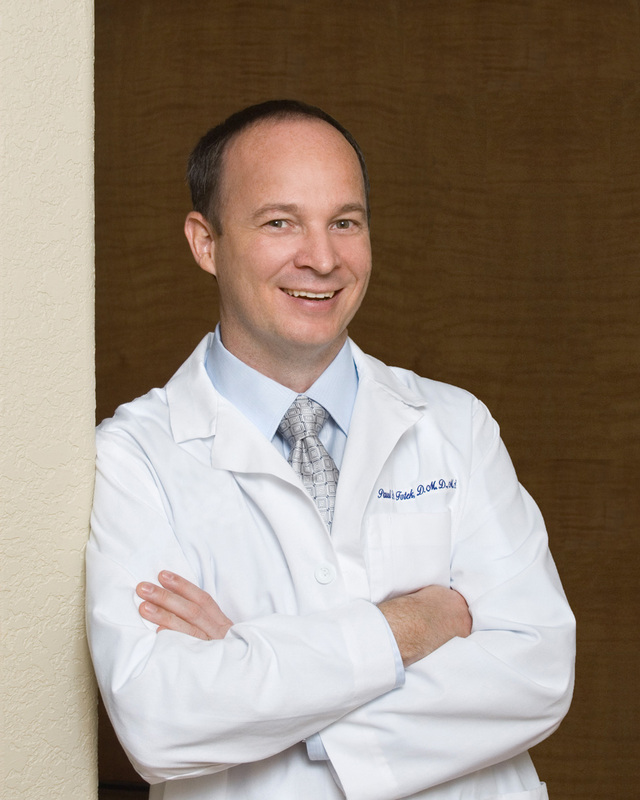 As a trusted professional in the dental and periodontal fields, Dr. Paul Fotek brings years of experience to the Palm Beach area. Specializing innovative dental techniques and technology, you can rest assured…. Our patients are our priority. We work to create a customized solution to all of your dental needs, restoring your oral health, function, and appearance. And, in a relaxing environment, we guarantee superior care every…. A healthy smile shouldn’t be something you stress over. So, at Prestige Periodontics, we work with an array of insurance options so you can receive the high-quality dental care in Palm Beach that you deserve. With minimal recovery time, reduced risk of infection, and precise results, laser dentistry is an innovative technique producing optimal results. Reduce pockets, eliminate disease, and restore the appearance of your gums with state-of-the-art and proven-effective…. Relinquish dental anxiety with sedation dentistry. Together, you and Dr. Fotek will determine the best form to keep you relaxed…. Ready to schedule a dental appointment or consultation?